- After back to back big mile days for me, and four for Whitney it was time for a low mileage hike. However, to keep things interesting we made sure it was a challenging low mileage hike! Whitewall Mountain via the slide was on Whitney's bucket list for awhile and I had been itching to get back up there to go to the real summit and hike out the normal way through the Birch glades. 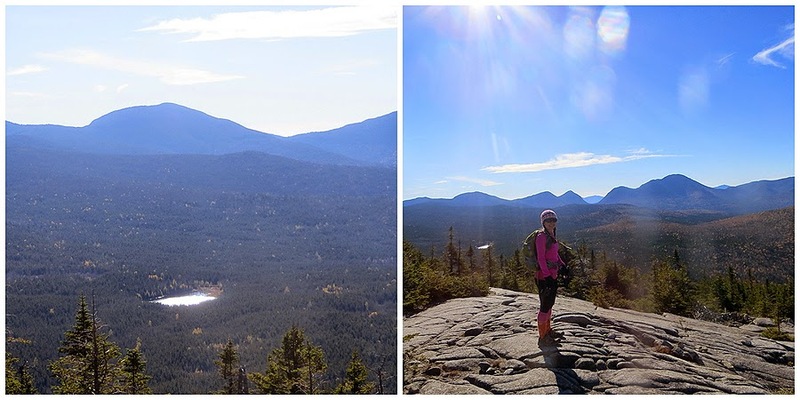 - The weather was around freezing when we started the hike but the skies where clear and as always we heated up by about a half mile in. 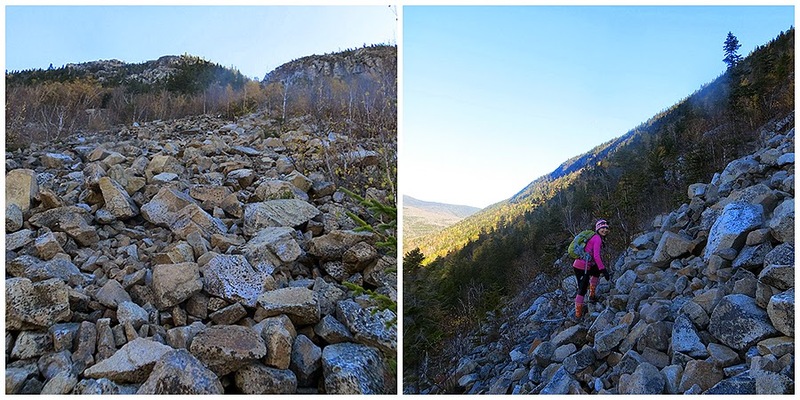 - We took in the great views from the Ethan Pond Trail along the old Zealand Valley Railroad grade before jumping off the trail and attacking the slide about a tenth of a mile before the Zeacliff Trail junction. - The slide was much looser than what I remembered from last year. Whitney and I both proceeded with caution and were very careful to not hike on top of each other in case we dislodged the loose talus. The slide is wide enough until the top that you can hike parallel to each other. 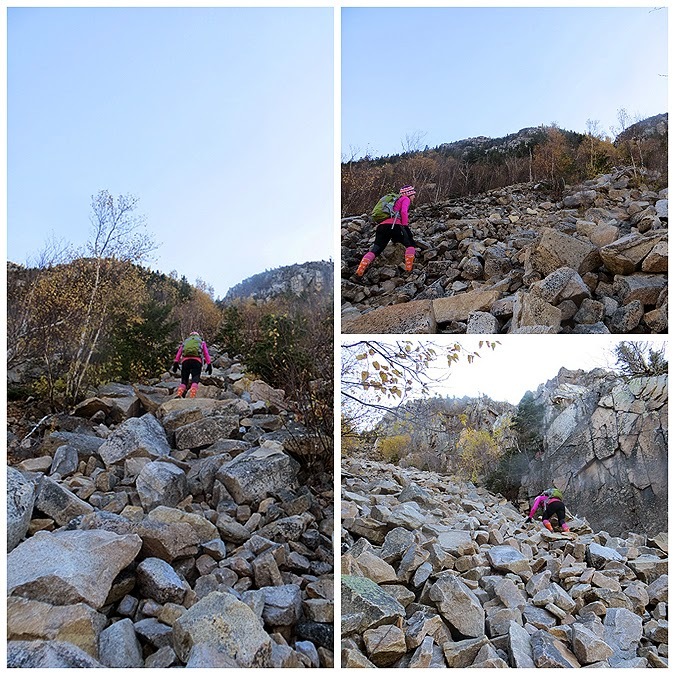 - The slide is steep and tedious in spots but there's no technical climbing involved, it does gain elevation quickly as it is excessively steep. 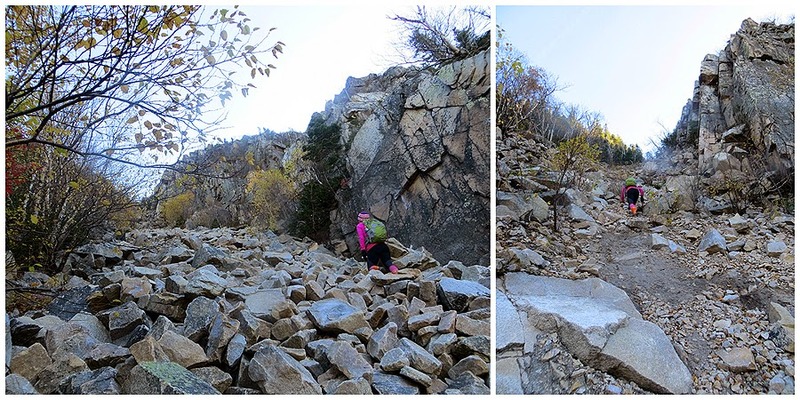 As long as you're careful about weight placement when climbing you'll be good to go. Views from the slide are tremendous, you look straight down to where the Zeacliff Trail branched off, across to Zeacliff and over to Zeland, Guyot, and the backside of Mount Bond. 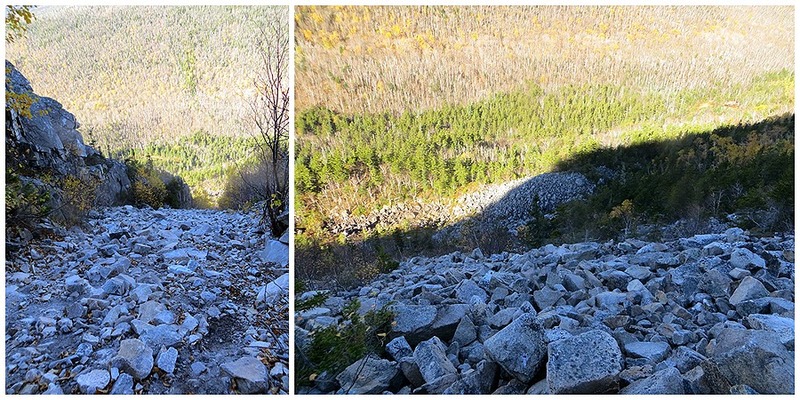 - Near the top, the slide becomes very narrow, the boulders thin out, and the slide has s short steep gravel section with vegetation. It enters a 'dike' if you will with cliffs rising high above on your left and right. 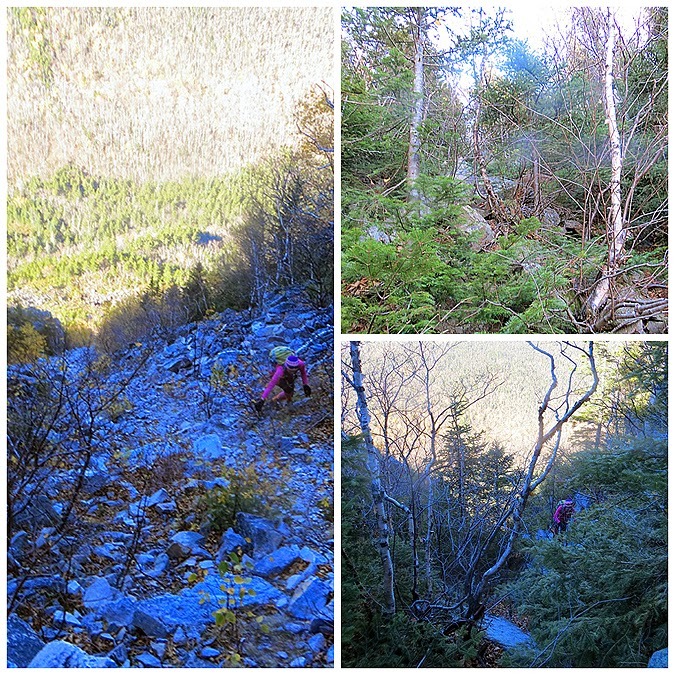 We continued to climb up the slide which then entered the woods, it climbed steeply over boulders and pine trees before we gained the ridge. From here we banged a right and within a few minutes we were taking in the views from Whitewall Ledges. 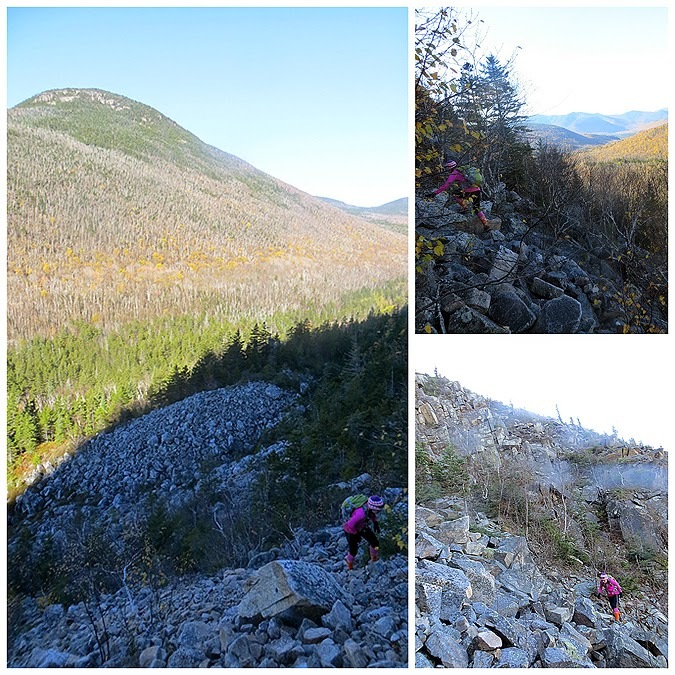 - The ledges probably have a top five view in all of the White Mountains; Zealand Notch, Mount Bond, Pemigewasset Wilderness, Shoal Pond and Thoreau Falls valley, over to Carrigain Notch with Mount Carrigain rising high above the notch like a monster off in the distance. 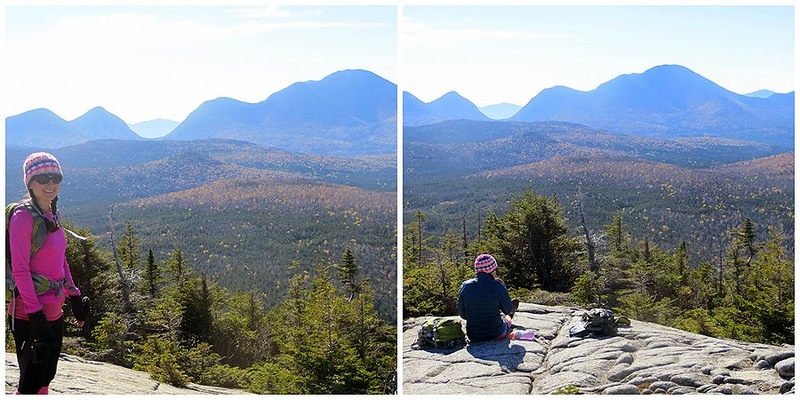 The weather couldn't have been any better, it warmed up to about fifty degrees with a light breeze as we basked in the sun and took in the views for about twenty minutes. 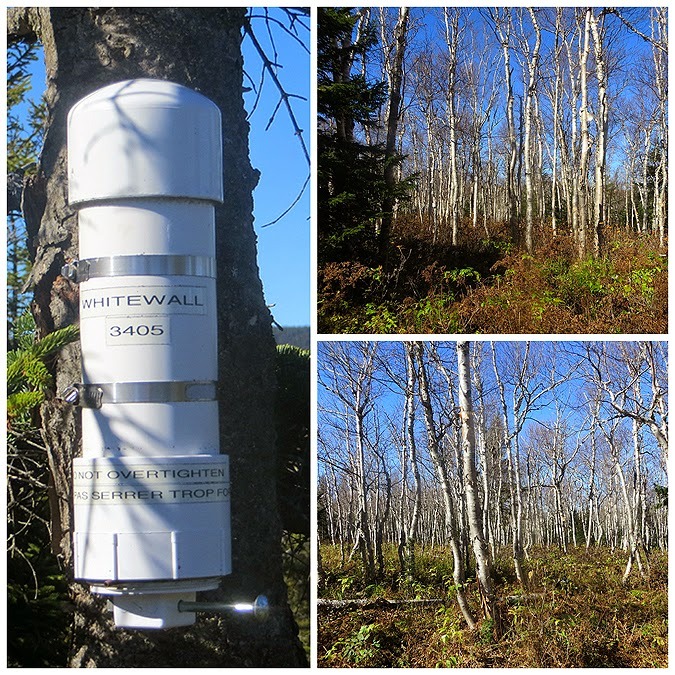 - Now it was for part two of the hike, finding the summit of Whitewall Mountain, which has a canister on it. 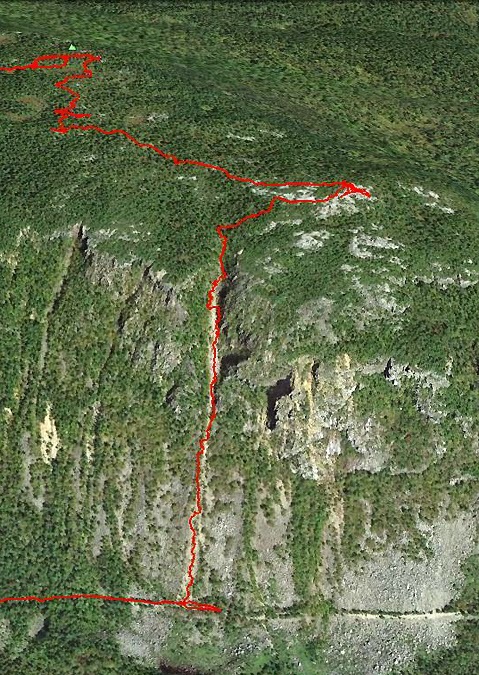 I had a map of a previous hikers track which came in from the A-Z trail. It looked like we were close to the summit. Which we were, however, there's a small bump and soggy section near the summit. At first we headed up from the ledges and made it to the top of a small bump, I couldn't see any higher ground but from my GPS watch I still saw we needed to gain another fifty feet. We hooked onto another small herd path that took us to higher ground but still no summit canister. We did see a soggy section of grass with what appeared to be higher land so we dropped down to the soggy section, trudged across, and went up the embankment and I yelled "Found You!" the summit canister was attached to a pine tree. - We signed and read the log book entries, I was surprised to see a number of hikers who had bushwhacked from Southwest Field, some of which said there was a thick mucky hell they had to navigate. While Whitney looked through the book I went and explored to find what might be the best way off the summit and found a well defined herd path. We followed this for as long as we could until hitting the biggest Birch glade I had ever hiked through. Since it's late fall we basically could make our own way through the Birch glades as the hobblebrush was thinning out for the winter. We stumbled upon herd paths from time to time, mostly moose paths but once in awhile they were a definite mixed use path. 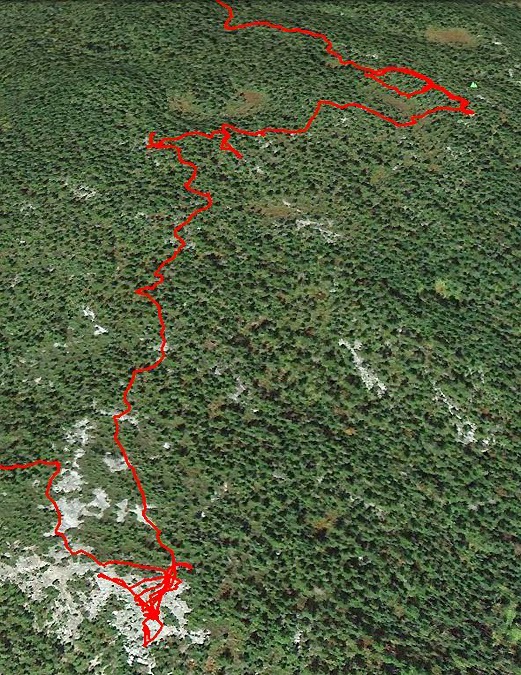 It was a pretty uneventful bushwhack out, no steep parts and not too thick, I don't know if there is an exact track that Whitewall whackers take from A-Z (since I just go with my gut) but we did just fine and landed on the A-Z trail 0.2 miles from the junction with the Zealand Trail. - Once back on the trail I switched from pants and long sleeves to shorts and a t-shirt and we both enjoyed a quick hike back out to the trailhead. - It was another slide/bushwhack in the books. Hopefully the weather stays decent for one or two more non ice climbs. Looking forward to heading out to the Osceola Dogleg Slide, the North Twin Slide, Glencliff Slide, Guitar Slide, etc., in the near future! Mount Bond's secluded eastern alpine meadow!